Who doesn’t love Hawaii, especially when it’s starting to get cold in your part of the world? Now through September 4th you can save up to 50% when you book a Hawaii vacation (flight + hotel package) through the Hawaiian Airlines site. 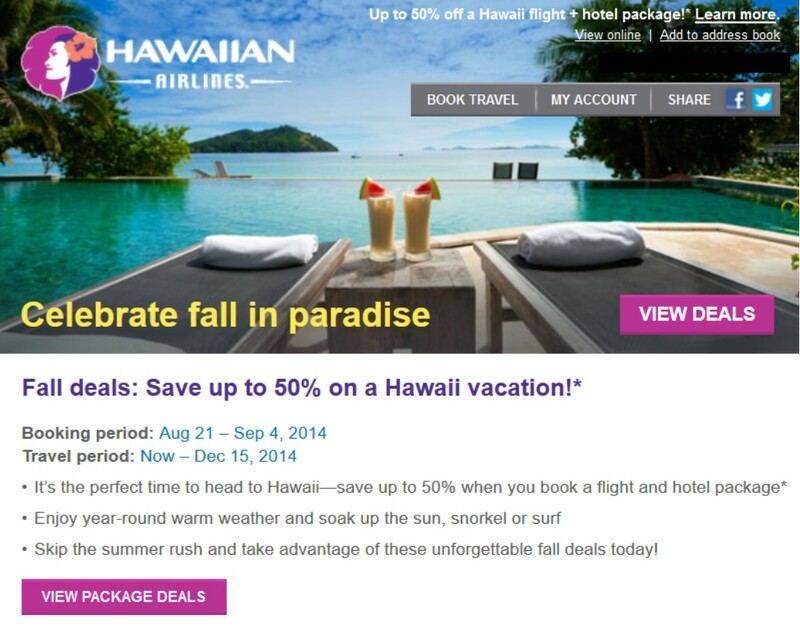 Check out their deals HERE on the Hawaiian Airlines website.